GMS Trims is a knitwear manufacturer and exporter of products of hight quality all over the world. 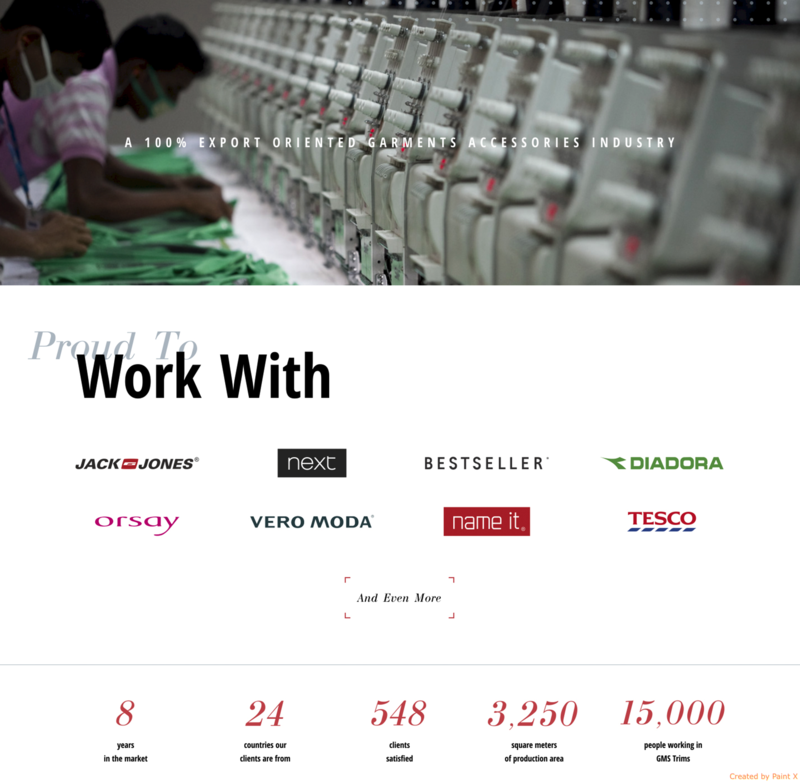 For GMS Trims we developed a new branded custom web site based on CMS WordPress. We went to one of the client’s plant to get an inspiration and get to know as much details as we can. 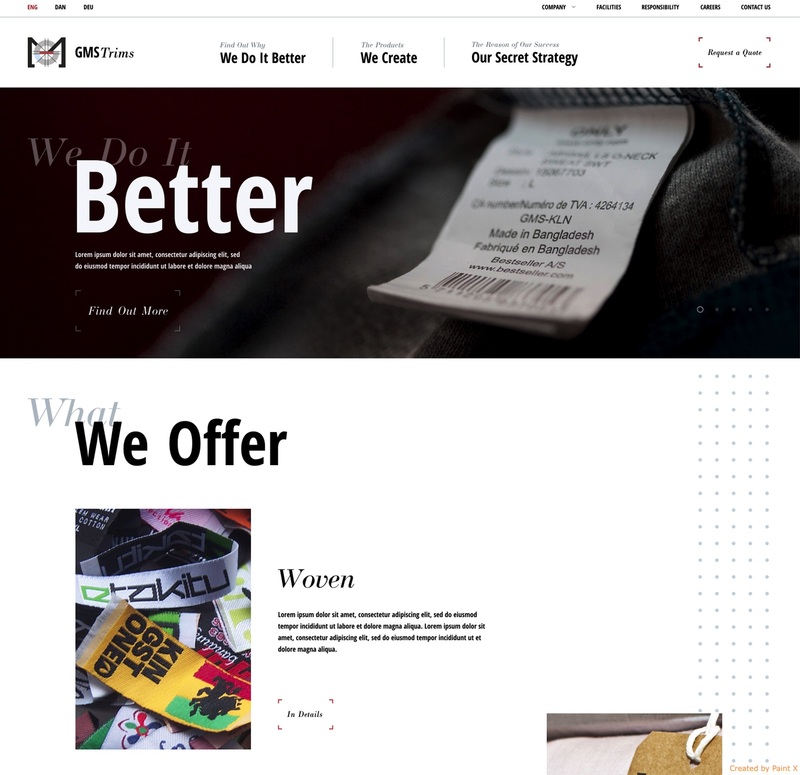 Unique design concept of this new website expresses GMS Trims’s individuality and professionality.